Who is the criminal, you ask? Don’t we search for them in this story? Do you even know what the criminal did? Who is the criminal who will kill me now?! 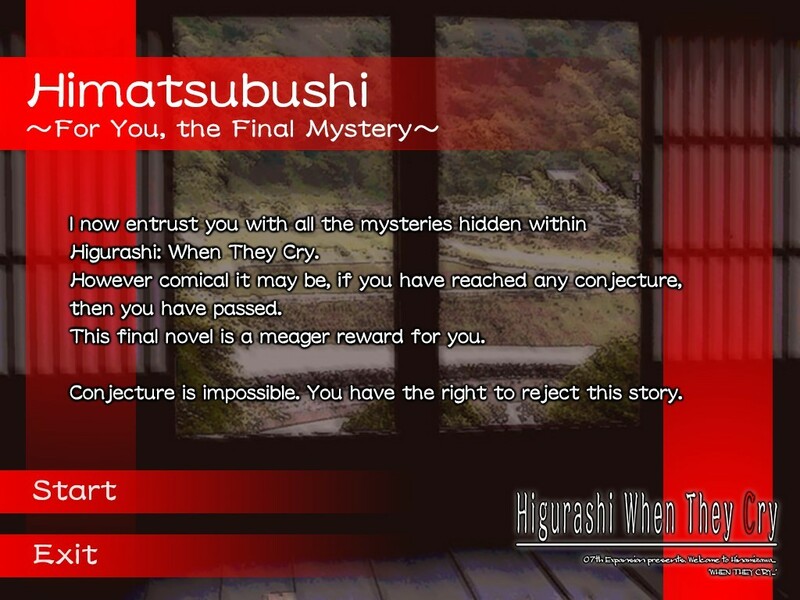 Spoiler-free general discussion topic for Chapter 4: Himatsubushi of Higurashi When They Cry. 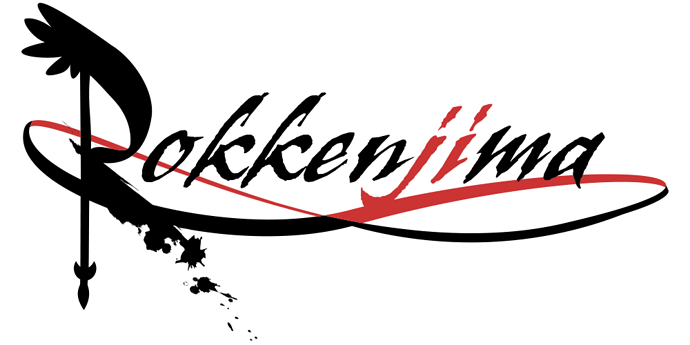 Chapter 4 refers to episodes 14 and 15 of the first anime series. So I just finished reading Himatsubushi. Nice little chapter all around. Lets discuss Rika’s prediction of the curses. I think it means that these murders are planned beforehand to some degree, which, for the “human affairs” theory, means that Satoshi either wasn’t the person to kill Satoko’s aunt, or that he had a motive other than Keiichi’s speculation to kill her: Satoshi had no excuse to want to kill his aunt by 1978, right? It also means that the circumstances in 1978 were enough to determine the curse victims, hence, I believe that refutes the “Punishment for infiltrating the warehouse” theory Shion and Keiichi had in Watanagashi. How did that revelation influence your conjectures? Since this was a short chapter, I went ahead and read it right after Tatarigoroshi. It pretty much proved my whole conjectures about the ending and the disaster wrong, since this one confirms that those all actually happen. Let’s see, this time around we go over all the events in the end, and it seems pretty clear that the events that happen in the first two chapters are largely ignored. These two centered around Keiichi, and his decision to do one thing or another seems to change the outcome of events very drastically, while Tatarigoroshi and Himatsubushi go the opposite way and cast his actions as mostly inconsequential. 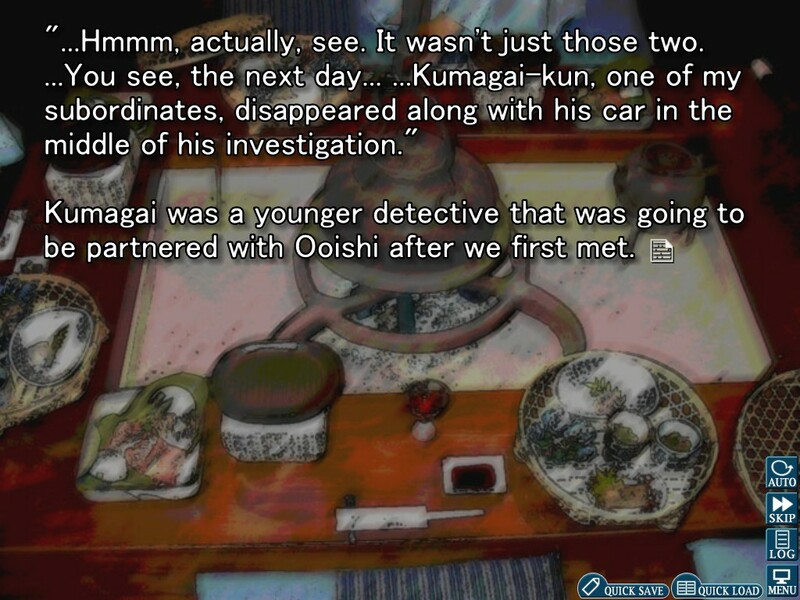 By this, I mean that I take the events of Himatsubushi to be as if Keiichi had never moved in. He doesn’t interfere, and that’s the way things go. But in the first two chapters, the body count is increased by himself in Onikakushi, and by Shion + Mion + Satoko + Kimiyoshi (I think) in Watanagashi. Basically, while it seems that there is a plan to carry out a series of murders, that culminates with the gas incident, the second chapter is the one that deviates the most, so I’m assuming that it has to do with the plan having Mion or the Sonozakis as key elements to it. 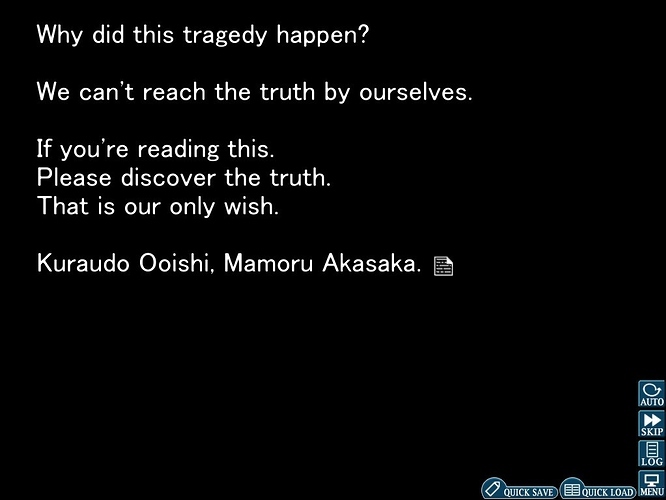 This route also confirms that the Doctor’s suicide doesn’t seem to be caused by Keiichi, since the other things he should have caused aren’t mentioned. So, basically, there’s a plan to commit the murders beforehand, but if the situation calls for it, or if someone gets too close to unveiling it, more people die. I think that reinforces the idea that it’s just people trying to cover their tracks. As to who it is made by, it’d have to be the older generations of the Sonozaki and maybe the Furude families. Mostly leaning on the Sonozaki, since the Furude end up dying. Since we now know that Rika knew how the series of murders should go, I’m going to go on a limb and say that the deviations in the second chapter caused by Mion were the reason why Rika attempted to kill her (I’m guessing that’s what the syringe was for). Let the Himatsubushi Tea Party officially commence! I read through the first two chapters earlier. It’s really interesting to look at Hinamizawa from an outside perspective for once. This chapter does a really good job of illuminating the central plots of Higurashi from a more objective third-party perspective. It’s so far done an excellent job of illuminating just how scary and capable Hinamizawa is, and the power of their pack mentality, but it also sheds light on how these are real people who just want to live their lives peacefully at the end of the day. It may seem contradictory at first, but in the end they’re just some exceptionally powerful and capable people being driven into a corner. Hinamizawa isn’t to be taken lightly, but they’re not beyond sympathy either. It’s also full of subtle hints of how to tackle the prior three arcs, but I’ll let you figure those out on your own. So here’s your homework! What kind of ways do you think this arc lampshades questions in other arcs, and to what effect? And just generally, what do you think of our new protagonist Akasaka? Do you like him? Okay, this first post is probably going to be littered with some random thoughts and ultimately more meaningless questions as well. Basically, it’s more representing my first thoughts. As such, I’m going to use the few screenshots I made while reading. Right of the bat, we’re told that we should have a conjecture by now and that this story is going to be little help, if at all, in coming up with new stuff. It’s basically cementing that it’s a side story. What I also like is that one has passed as long as they have made a theory, no matter how ridiculous it is. The important thing basically is to have thought about the story. 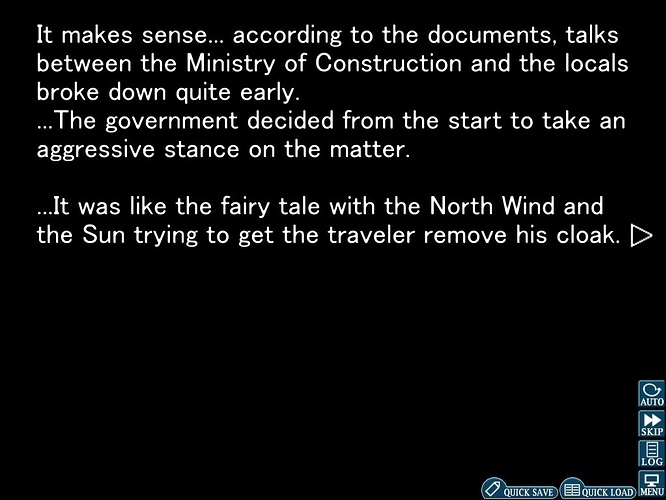 Heh, Ryukishi really likes that tale, doesn’t he? And here Rika says what everyone probably already thought for a while at this point. What is interesting to note though is that this means that Tomitake was already frequently coming to Hinamizawa in 1978. Behold! 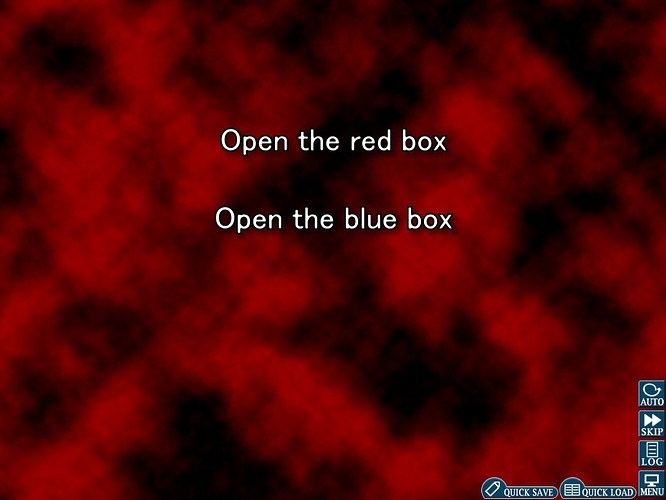 The probably only choice in the entirety of Higurashi! I really wonder how you guys went over this one. Did you view the tip twice to check both options (I know @Karifean did that)? Or did you only pick one and stick with it? I only picked one, thinking that I can just ask you guys what you picked to potentially find out what the other option would have brought. Since you probably want to know what I picked, I picked the Red Box, and inside was a piece of caramel. While Ooishi then goes on as to how he regrets not being there, from Tatarigoroshi we know that he would have disappeared as well if he’d been there. And again, this comes up. At this point I wonder if these are arc words for the entire WTC series. Now finally for overall thoughts. I really liked the chapter. It had some nice drama moments, we got a little bit more insight into Rika, finally, and like Aspi said it gave us a nice objective view of Hinamizawa. But let’s talk about Rika a bit. There were several points where she honestly seemed a bit too mature for her age, which honestly made me wonder if she really is as young as she seems. However, her mother being so confused about her probably means that we can trust her apparent age. There were also some interesting things with those TIPs that I noticed. In the first part of her mother’s diary, an earlier TIP is actually referenced, namely the one about making weather charms so that it rains. This made me wonder if several of the TIPs in first person perspective are actually from Rika’s perspective. Honestly, at this point I wouldn’t be surprised. Also, I’m wondering if Rika’s mother hitting her on the head caused Rika’s tendency to pet people on their head if they did something wrong or didn’t understand something. In terms of Rika saying she learned cooking curry at home but her mother not remembering that, we now know that Rika refers to the entire Shrine Grounds as her home, and those are big, so it really isn’t that unlikely that she learned that from someone else there. Alternatively, if Rika really does view herself as a reincarnation of Oyashiro-sama, it isn’t too farfetched to believe that Rika viewed the entirety of Hinamizawa as her home. Lets discuss Rika’s prediction of the curses. One very interesting thing about those predictions is that Tomitake’s death wasn’t predicted (or did I misremember that in the timespan of one day?). This means that while Rika’s death was planned all this time ago, Tomitake’s was not. Furthermore, only the death of Satoko’s aunt was predicted, not the disappearance of Satoshi. Both interesting points to consider, although I don’t quite know what to make of them. And just generally, what do you think of our new protagonist Akasaka? Do you like him? I think he’s a decent protagonist. Finally someone where I don’t feel like screaming “You idiot!” at the screen. For your other question, I’ll need more time for digesting probably, so I’ll get back to it later. I did however do the homework you gave us in the Tatarigoroshi podcast, and this is where I shift this post to talk about the entirety of the question arcs, as we’re going to talk about that anyway. The stuff that happens on a day is going to be heavily abbreviated, so I expect everyone to know what happened in a specific scene. There are more things I want to talk about, but for now I’ll end the post here. This is them taking liberties with the translation. The original says nothing about muppets. Rika says ‘mii’ and Akasaka wonders if she’s saying the English word ‘me.’ That’s it. Just finished the chapter! What can I say, I really enjoyed it. It was such a refreshing change of pace from the rest of the series. The revelations with Rika were super interesting and will probably be the biggest point of discussion in the podcast, but the epilogue with Akasaka and Ooishi really took the cake for me. I mean, of course it has a great deal of importance as an in-game mystery review session and helps put a lot of things into perspective, but I also loved it because of how emotionally cathartic it was. Seeing Akasaka break down in tears upon realising how helpless he was to save Rika and the others was really, really nice to watch. Finally, it’s not all about the shock value; this chapter gives us an opportunity to grieve for the horrible fate these characters have to endure, particularly with regard to Tatarigoroshi. 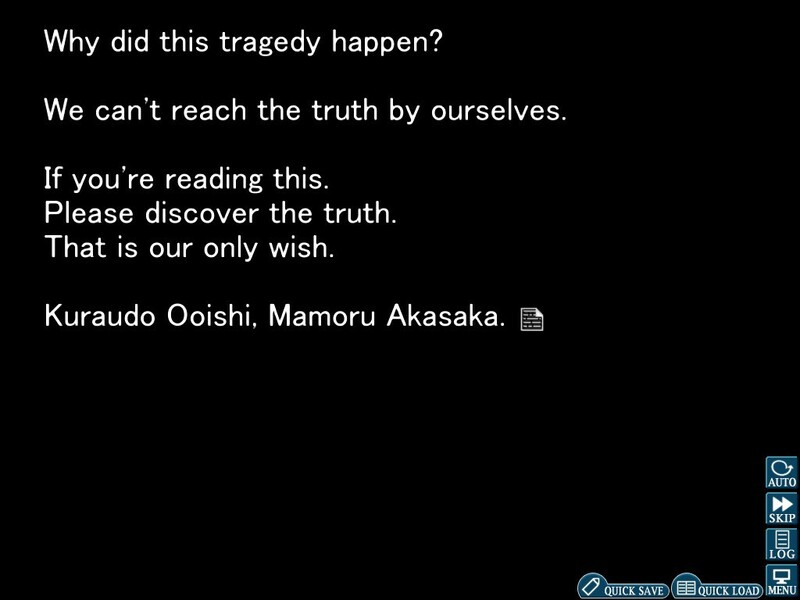 Ooishi insists that he must use this grief to motivate himself to seek out the truth, and hearing Akasaka’s “but they’re already dead…” felt so damn real to me. Finding the truth won’t make it all better. But ultimately, it’s still with pursuing in the end, as they even ended up writing “Higurashi When They Cry” some time after. This is Ryukishi imploring the reader to give it some thought and try and solve Higurashi, to uncover whatever grand plot must be connecting all these events. Honestly, the all cast review was completely unnecessary this time. But I think the most interesting part of this chapter for me, which is probably gonna come up in further discussion, is the contrasting implications of a human or non-human explanation for Rika’s predictions. They both go down very different rabbit holes, but both co-exist as compelling interpretations right now. Honestly, the all cast review was completely unnecessary this time. Yeah, I agree with that. It probably shifted to that gag reel pretty quickly because it wasn’t really needed. Definitely. The implications for if we’re going with a human culprit theory are already discussed a bit, mainly that a lot of the things were planned and that the incidents are in fact linked together in a way. While I was reading, however, I went down the route of non-human a bit though, because I just couldn’t believe that Rika could predict as much as she did. This eventually changed once Akasaka and Ooishi talked about it, since I didn’t even think about the explanation that it must mean that everything was long hand planned. So, let’s say we have a non-human theory. Then we could obviously say that Rika is the reincarnation of Oyashiro-sama and has omniscience thanks to that. However, I came up with a third possible explanation: What if this is quite literally a story and Rika is both a character in the story and someone outside the story? And what if both are linked together in a way? This would explain how she can know stuff that happens in the future while still not really being able to influence it. And, to be honest, I’m not sure where I would put that explanation on the human <-> non-human scale. It could certainly be a natural thing, as interactive stories aren’t unheard off, but I still feel that I’m basically bullshitting my way out of giving a serious explanation. To put it in words that are familiar to some, (Umineko Episode 4 spoilers)it feels like I’m coming up with a Small Bombs theory. That sounds very interesting… I’d love to hear you elaborate on this further sometime. Hmm, okay, I’ve been thinking for a while, and there’s something I don’t understand. So, going with the human theory, we’re assuming that a lot of the murders were planned back in 1978, the Great Hinamizawa Disaster probably included. Then there’s however a very big question: Why did it not happen in Onikakushi? I can explain away Watanagashi for myself since a lot of influential people died in that chapter as well, so it is easy to assume that the true perpetrator died. But what about Onikakushi? I hope that someone of you has an idea for that. I’d love to hear you elaborate on this further sometime. There’s really not that much to elaborate on. I was basically looking for possible explanations for Rika’s apparent omniscience, and the answer I came up with was that she’s not experiencing this for the first time. Now how this multiple experience is caused, there’s multiple possibilities I guess, as you could go with the science fiction explanation of a timeloop as well; I just went with the explanation of this being a story and Rika being a protagonist who can influence the story to some degree (basically dialogue choices), which is why she said what she said. A spontaneous idea: Hinamizawa is viewed as a singular, unifited entity with regards to the murders, right? I mean, that’s what the whole “You’d get away with a murder in broad daylight.” segment was about. Assuming that the Great Hinamizawa Disaster does not occur after all arcs (I don’t think it does, given the table above- unless we consider that some mechanism behind the scenes delays the Disaster by several days), then we can reasonably assume that there’s a deliberate intent in the triggering of the Disaster. …So perhaps the fact that the Great Hinamizawa Disaster occurred means that there’s a second “faction”, so to speak, which is fighting against the Hinamizawa entity. That likely entails stopping the curses from occurring, which is the most severe manifestation of Hinamizawa’s unity in the story. So the “perpetrator” we’re looking for, the acting force behind the curses, is the opponent of some other “faction”, which could be anything from a single person to some organization. In Tatarigoroshi and Himatsubushi, this “second faction” wins against the perpetrators of the curse. How? I think that they fail to find the actual perpetrator. However, they likely believe in the person theory- so how do they ensure that they kill the culprit? They kill all of Hinamizawa. For whichever reason, and assuming that the GHD always happens on the same day if it happens, the Disaster is not triggered in Onikakushi and Watanagashi. Alternatively, I would consider Takano playing a role (i.e. she kills the whole village to evade the wrath she draws upon herself by entering the shrine storehouse), but that is disproven by the fact that the Disaster does not occur in Watanagashi and the fact that (although I believe that she altered dental records and ran away) her corpse is found in the mountains. Hmm, if we go down this route, then I’d assume that by the end of the question arcs, we should know that second faction/person that caused the GHD. And it would be unlikely for this to be someone who died in the disaster. With that in mind, there really aren’t that many options. Just with this premise alone, the only possible perpetrators would be Shion, her bodyguard, Ooishi (as he only disappeared), Takano (since we assume her death is faked), Satoshi (we don’t really know anything about his whereabouts), and technically Keiichi himself qualifies as well. And even from those we can rule out several. 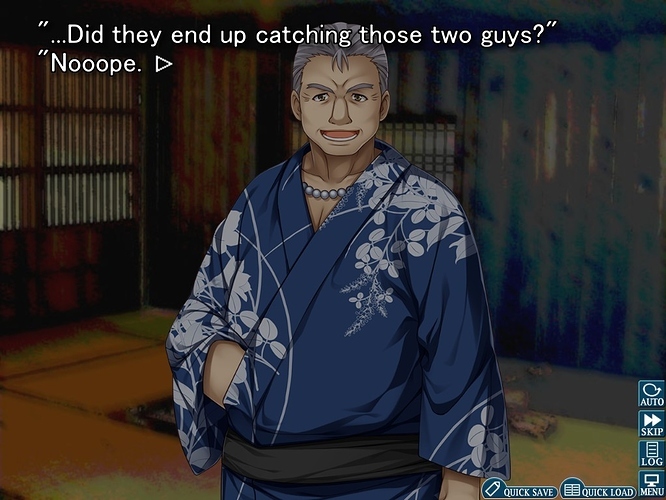 Ooishi strikes me as someone with a sense of justice, I don’t think he’d be able to kill an entire village. Shion’s bodyguard really is too much of an extra that I doubt he’d have such a central role. 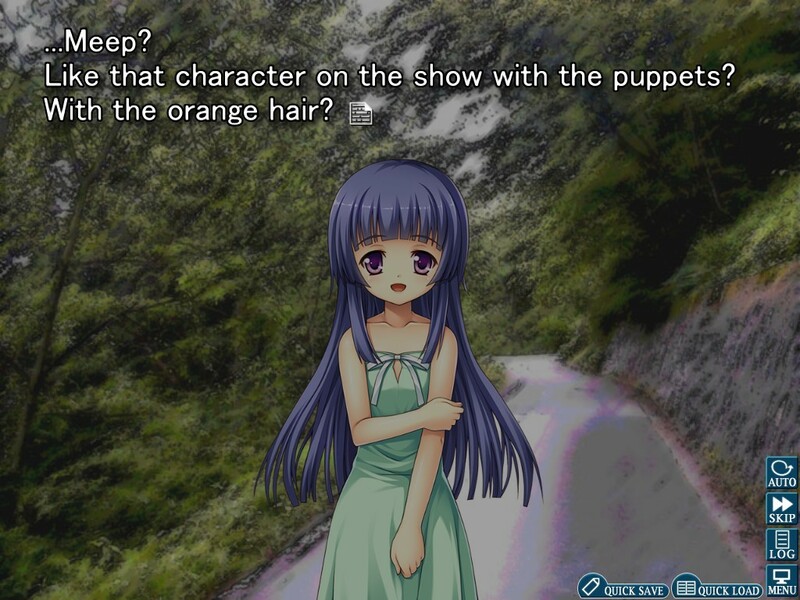 And if it’s actually Keiichi himself, then we’d have to seriously ask the question why he doesn’t know anything, so I doubt this option as well. So this leaves us with Shion, Takano, and Satoshi. So, who’d be the most likely of those to resort to killing the entire village? For both Shion and Satoshi we’d have to ask if they’re really willing to kill their family; only Takano doesn’t seem to have much emotional connection to anyone in Hinamizawa. But please point out if I forgot someone. After much prodding, I guess I have to start discussing this chapter, especially considering I’ve been active for the past three bookclubs (while barely anybody else was). So we all know Rika-chama is clairvoyant, at least, for all the mysteries surrounding the watanagashi. But the question remains: was it through Oyashiro-sama that she learned that? Or was it through the rest of the humans, during the village meetings? Naturally, the first one is kind of a cheat code. Once we subscribe to the whole “oyashiro-sama” bit, that takes away all mysteries in the game and lets us just say “Oh you silly oyashiro-sama, killing and kidnapping people again”. And with the second one, we can only assume that everything was planned out by some of, if not all the villagers (which includes the death of Akasaka’s wife, unfortunately), and Rika just happened to overhear everything. Whichever one we choose, however, we are left with only one option: to deduce whether our choice matches up with what happened in all the previous stories. Does the story have enough proof at this point to prove or disprove either theory? Frankly, I can’t tell. And I don’t really want to go to the effort of deductive reasoning as it honestly feels like a game of trial and error; I’d much rather go through it from an inductive line of reasoning but the story doesn’t really provide that to me. But hey, if it does have enough proof, and someone can show that, then I guess they’ve beaten the game. 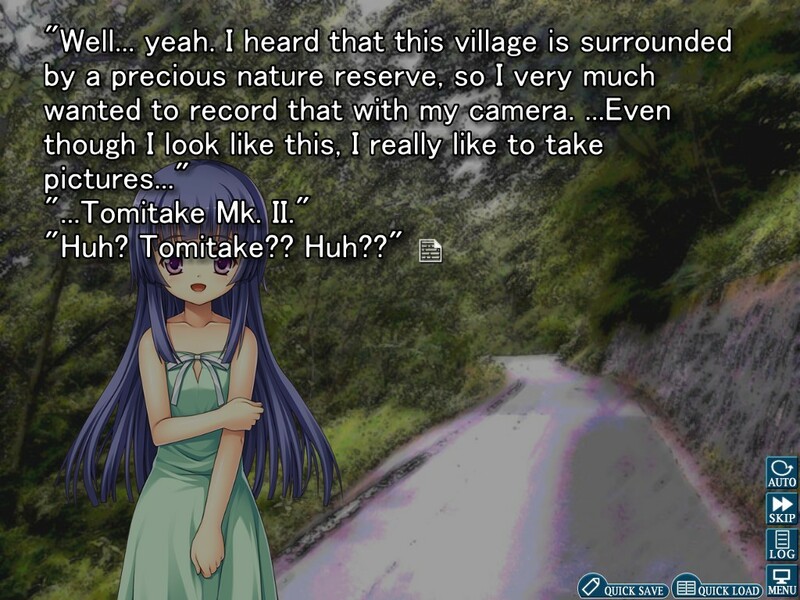 The only thing I can provide is a gut feeling that, well, the world of Higurashi isn’t all black-and-white. Maybe there is something supernatural going on? Perhaps it doesn’t have to do with the killing (as I believe the deaths, great disaster aside, are all human-induced), but maybe the world itself is affected by the whims of a mystical being. Is it Oyashiro-sama? Is it a divine being? Is it a storyteller? Or is it a witch? I don’t know. And to be honest, I’m okay in not knowing. Because as long as my gut feeling is correct, I’m going to enjoy the ride. After all, the world of either black or white is kind of boring, isn’t it? Hmm, if we go down this route, then I’d assume that by the end of the question arcs, we should know that second faction/person that caused the GHD. And it would be unlikely for this to be someone who died in the disaster. With that in mind, there really aren’t that many options. It could be someone who’s now dead as well. Perhaps the mechanism for the disaster to occur was set up/primed in a previous year, and it was prevented in Watanagashi (we don’t know what happened in Onikakushi). For a few reasons, though, I really doubt that is the case. I guess I’ll have to set aside the “GHD was committed by second faction” theory for now. As I agree with @Pepe on the fact that Himatsubushi isn’t as meaty as the other Question Arcs, I’d like to ask you all if you have any theories about the culprit or the curse that spans the entirety of Higurashi so far. They don’t necessarily have to be related to Himatsubushi directly, but I’d like to hear what people are saying at this point. So I went through the discussion topics of the earlier chapters to try to summarize all questions that either haven’t been answered by a theory from us or that haven’t gotten a satisfying answer from us. Now, I am aware that some of these questions probably can’t even be answered by us, but it’s still useful to have them all around in one place. Oh, and I’m going to borrow the color we used in certain other places on this forum to denote open questions. What really is the meaning behind the opening poem in each chapter? Who is the mastermind behind Oyashiro-sama’s curse and what is the motive for it? What really are those sounds that shouldn’t exist (extra step behind Keiichi, that sound in the toolshed in Watanagashi, etc.)? What is Tomitake’s true identity? In Onikakushi, what caused Keiichi’s suicide? Why did someone almost run over Keiichi in Onikakushi? Why was part of Keiichi’s note destroyed, why was the syringe taken away? 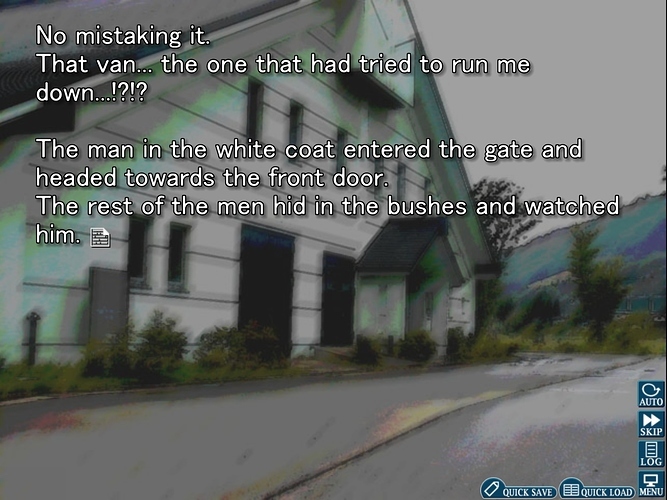 If Keiichi is crazy at any parts of the story, at which parts is he crazy? In Watanagashi, which scene is with Mion, which is with Shion? At the end of Watanagashi, who stabbed Keiichi? Why did Shion commit suicide? In Watanagashi, why did Rika have a syringe on her? There are several characters who we could assume to have Dissociative Identity Disorder. Who, if any of those, actually has that disorder? Now that we know more, who are the cats and the dogs in Keiichi’s confession to Rika and her reassurance to him? Why did Teppei not die? How was the Great Hinamizawa Disaster caused? How did Keiichi survive the GHD? So there you have it. Those are all the open questions I could come up with. I am also aware that some of those (actually most of those) were discussed earlier, and as a result there might not be much new stuff that one could bring to the table for those, I just chose to write all of them. If one of you has a new idea for one of those, or an idea in general, feel free to tackle one of those questions. One thing I’d especially like us in the podcast to talk about, is the TIPs in each chapter. Now some of those essentially boil down to “This TIP gives us information X.”, but there are some that are more cryptic in nature, and thus talking about those might bring us to new revelations. So I’d like us to look through the TIPs again and figure out which of them are of that more cryptic nature. I’ll certainly do the same as part of my preparation. Do you think I Should be thinking these over and saving my answers for the podcast or should I be answering them here now? By all means, answer as best you can now! We want to get discussion happening here that we can reference and possibly expand upon in the podcast. In case any of you aren’t familiar, don’t forget that blue text is used for theories on our wonderful site! Keiichi is only crazy during Onikakushi. The same thing that caused his insanity during that arc in the first place. Additionally I believe the syringe contained some kind of antidote for this. That person didn’t actually swerve to try and hit Keiichi, that was one of his delusions! I can think of multiple ways that scene could have really played out if you think about it like that. The mastermind was still alive. They took it, as it might get in the way of their plans in future years or because the antidote’s presence might make it possible to discover what really caused Keiichi’s suicide. The syringe contained the same substance as the one seen in Onikakushi. She thought that Mion was having happen to her what happened to Keiichi in Onikakushi, so she was planning to try to inject Mion with it. He did. His body was moved to the other hole by Mion and Shion. Someone else abused Satoko in his place and her damaged mind perceived them as being her uncle. The bike being thrown in the marsh is what caused the volcanic activity. The story is repeatedly setting up a dichotomy between the incident “being just the work of humans” and “being all fantasy”. In addition this is not being used as if it is a major theme like it was in Umineko. This is a misdirection. There are fantasy elements, they are just not related to the solutions of the incidents themselves! The sounds that should not exist are one of these elements. Motive? You have me stumped there, but I’m pretty confident that I can say who the mastermind is at least. Takano is the only introduced character who I can honestly see as the mastermind right now. Keiichi remained unconscious for an unnatural amount of time. That’s our hint. Takano (or anyone for that matter) was still alive, knew about the disaster that was coming and went down to Keiichi, placing a mask on him and injecting him with a knockout drug to keep him asleep. When the location he fell to was safe she merely went back and put him there again. You’ll need to be more specific. Is he crazy for the entire chapter? When does he become crazy? The same thing that caused his insanity during that arc in the first place. How do you explain Tomitake’s death then? That person didn’t actually swerve to try and hit Keiichi, that was one of his delusions! Do you claim the same for the van being spotted again later in the chapter? At the very least you’ve offered an explanation to something nobody was able to explain in the Tatarigoroshi discussions. But it’s still a very half-baked theory. What motive could one possibly have for doing that? Moreover, How could they know a disaster caused by a motorbike was coming?